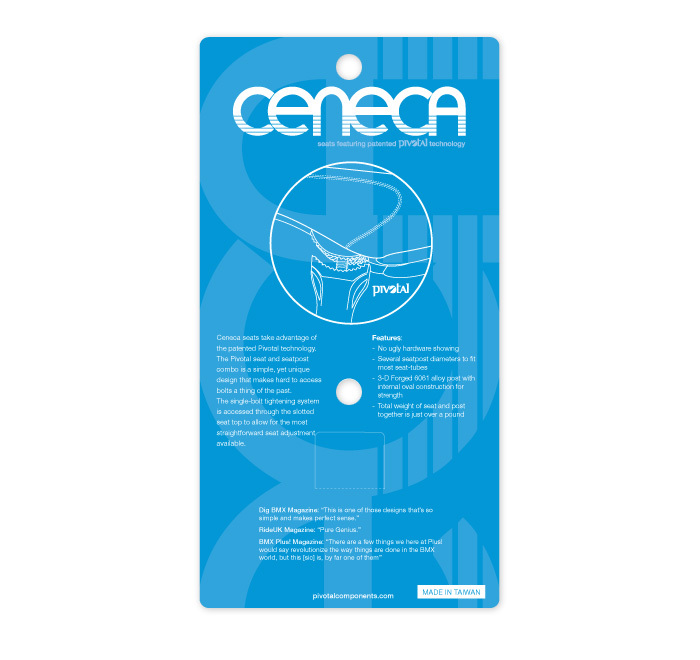 Seatpost packaging card for Ceneca Seats, folds in on itself at the bottom to create a rigid package that holds the seatpost in place (strapped in with cable ties higher up) and is easy to hang in bike shops. 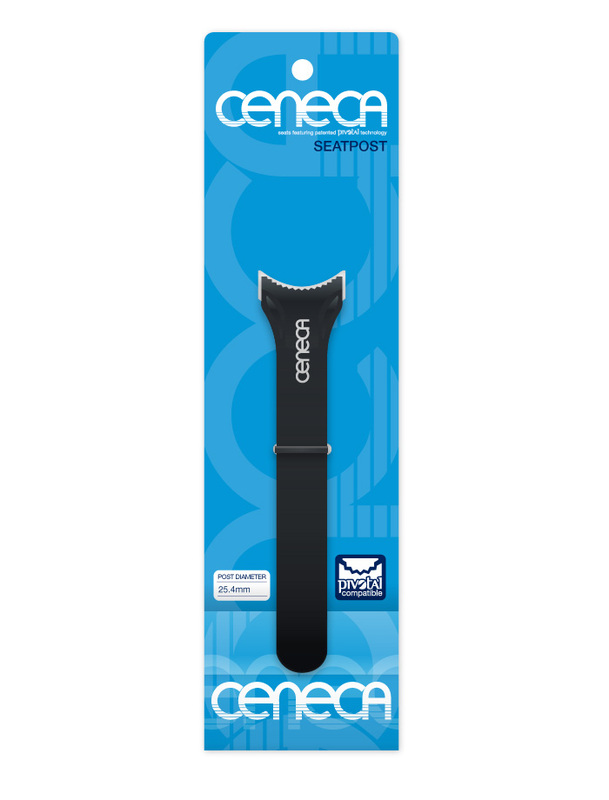 This design takes advantage of the already existing die-line for the MacNeil seatpost package. 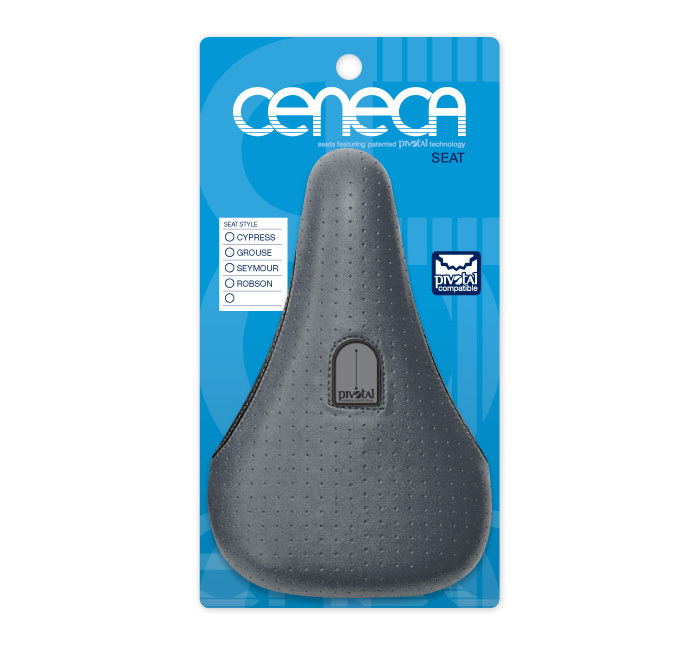 Ceneca seat mocked-up as you’d see it hanging in the bike shop. 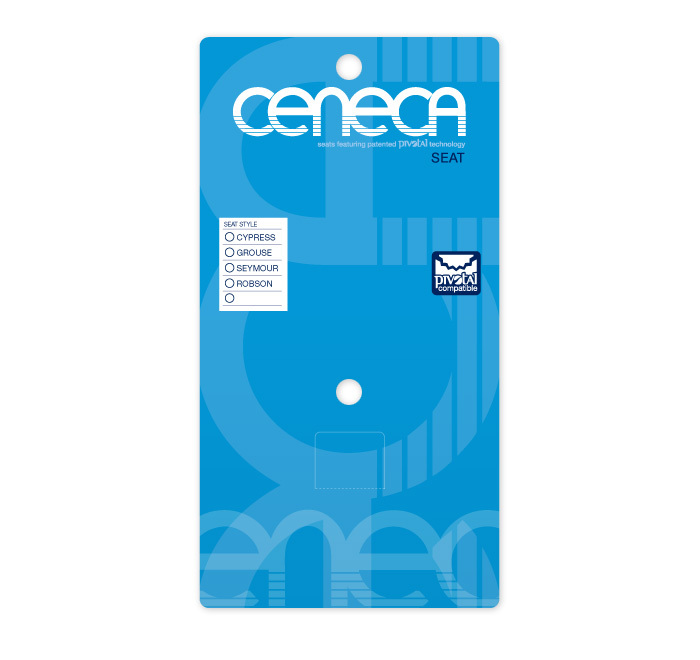 Ceneca seat card front (without the seat superimposed). 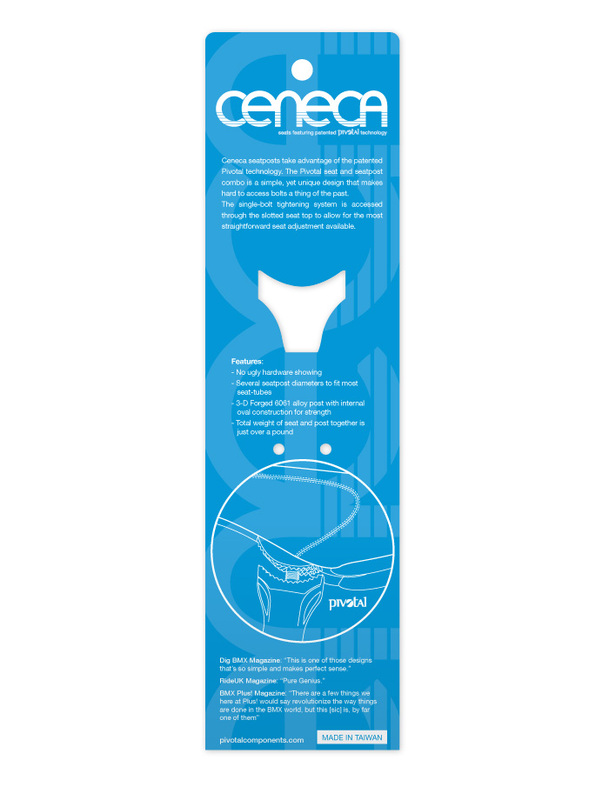 Ceneca seat card back features an illustration I did to aid consumers in learning more about the new Pivotal seat technology. 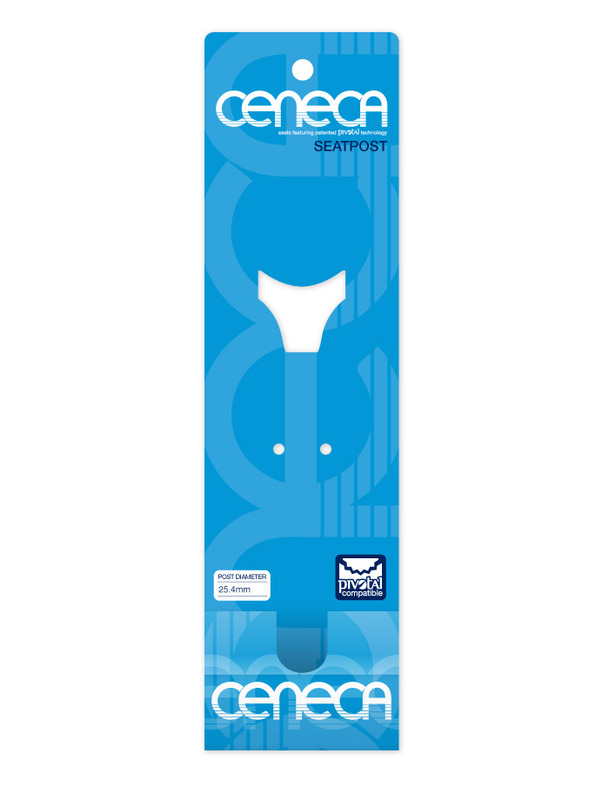 See also MacNeil Bikes Seat and Seatpost Packaging and the Pivotal Logo.